FREE to those with an annual income of $55,000 or less. 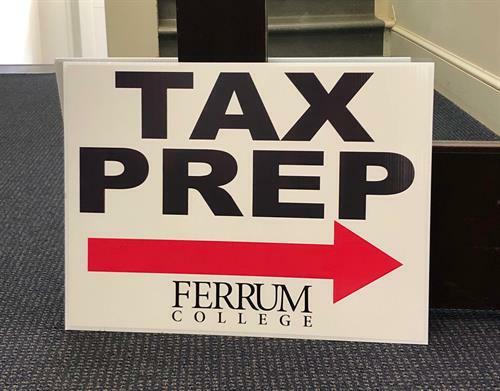 STEP's Volunteer Income Tax Assistance (VITA) program is available on the Ferrum College campus in Beckham Hall, rooms 201 and 204, on Wednesdays from 4 - 9 p.m., and Thursdays from 4 - 6 p.m. through April 11. This IRS-sponsored program is FREE to those with an annual income of $55,000 or less. To schedule an appointment, call STEP at 540-483-5142. Additional questions? Contact Sadie Wallace, professor of accounting at Ferrum College, at srwallace@ferrum.edu or 540-339-2045.